The Best School Psychologist blogs from thousands of top School Psychologist blogs in our index using search and social metrics. Data will be refreshed once a week. About Blog The focus is upon the educational development of individual children, their skills and abilities, and the social and emotional factors which affect their learning process in the classroom. About Blog A resource for any teacher of high school psychology, whether AP, IB or Introduction to Psychology. Murfreesboro, TN About Blog Tenspire is a place where educators will come together to motivate, encourage and share ideas, but most of all inspire each other in the teaching profession. In this blog you will find Posts about School Psychology written by Katie Holmes. Facebook fans 264. Twitter followers 25. San Francisco, CA About Blog A community of school psychologists to collaborate and discuss research and best practice in the field. Facebook fans 1,156,877. Twitter followers 516,488. Georgia About Blog At Cobb Pediatric Therapy Services, school therapy is all that we do. Founded by June Whitehead in 1989, our mission has always been connecting talented speech therapists, occupational therapists, physical therapists and school psychologists with public, private and charter schools. Facebook fans 1,806. Twitter followers 458. About Blog In the early 1970s a group of school psychologists from different parts of the world, under the leadership of the late Calvin D. Catterall, came together to form an International School Psychology Committee in order to promote worldwide cooperation amongst school and educational psychologists. About Blog Rachael had the brilliant idea to create the drive and spread the word to school psychs from all over the country to add at least one helpful resource that isn't there. We have some amazing guests coming up that we think are really interesting & that we can all learn a lot from. Facebook fans 2,973. Twitter followers n/a. North Carolina About Blog NCSPA is a professional organization that supports and advocates for school psychologists across North Carolina to provide comprehensive services that reflect best practices in the field of school psychology. Here you will find this resource helpful as you fulfill your role in ensuring positive educational outcomes and wellness for all our children and youth. Facebook fans 932. Twitter followers 718. New England, USA About Blog A blog documenting the delicate art of becoming a school psychologist. It's irreverent, hardly serious and occasionally humorous. If you're here seeking an incredibly informational resource about school psychology and school psychology matters, you're lost my friend! Facebook fans n/a. Twitter followers 778. About Blog My name is Jenna Johnson and I am the School Psychologist at Wheelock Elementary. I truly enjoy my job and feel lucky to work in such a great school/community. I hope this website will be a helpful tool for both parents and teachers. I will periodically update my blog to share new resources or posts about new and exciting social/emotional learning at Wheelock. 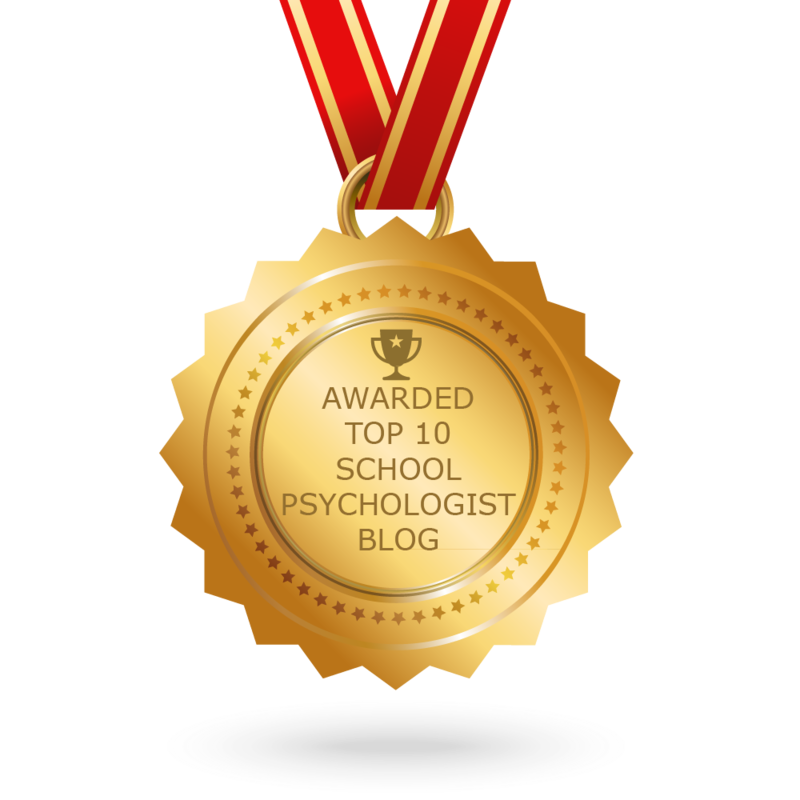 CONGRATULATIONS to every blogger that has made this Top School Psychologist Blogs list! This is the most comprehensive list of best School Psychologist blogs on the internet and I’m honoured to have you as part of this! I personally give you a high-five and want to thank you for your contribution to this world.